Hello everyone! 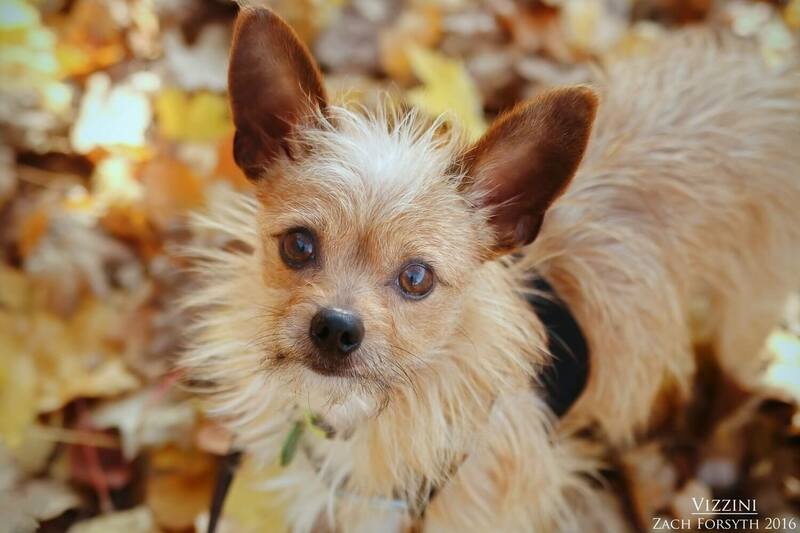 My name is Vizzini and I am a 2 year old Yorkie/Chihuahua mix weighing in at 7lbs. You may know me as the infamous Sicilian in the Princess Bride! Funny, entertaining, short and a love for acting tough, I am a hilarious combination with a cute face to go along with it. I can by a little shy at first, but with some patience and treats, I warm up quickly! I have been around other dogs and am ok with cats, though I will try to be the star of the show. It’s “INCONCEIVABLE” that you would think otherwise as I am the smartest and cutest! The noises and hustle of the city are a bit scary for me and I would prefer to be in a quieter lower traffic home with kids over the age of 12. I am a little fuzzball, as adorable as can be, so fill out an application to come see me. Doh! I just hate rhymes! I come to you neutered, vaccinated, and micro-chipped with an adoption fee of $300.